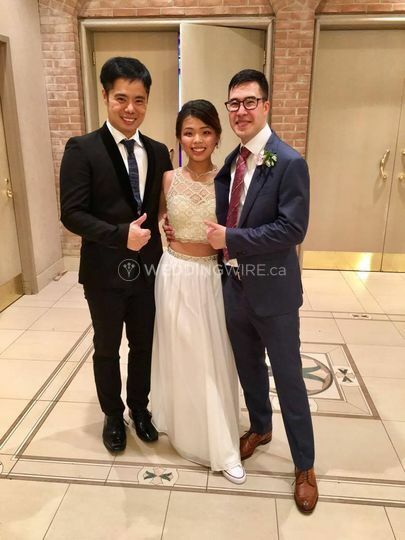 Located in Markham, Ontario, Roger Feng Entertainment is an event entertainment company which specializes in DJ/Sound production and other entertainment services for weddings and other special events. 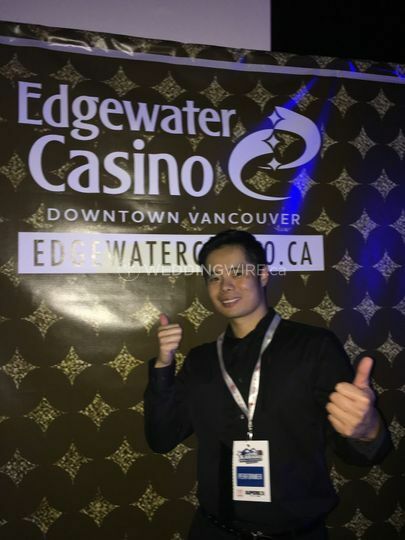 Roger Feng is a professional MC with 10 years of experience hosting events of every kind in English, Cantonese and Mandarin. 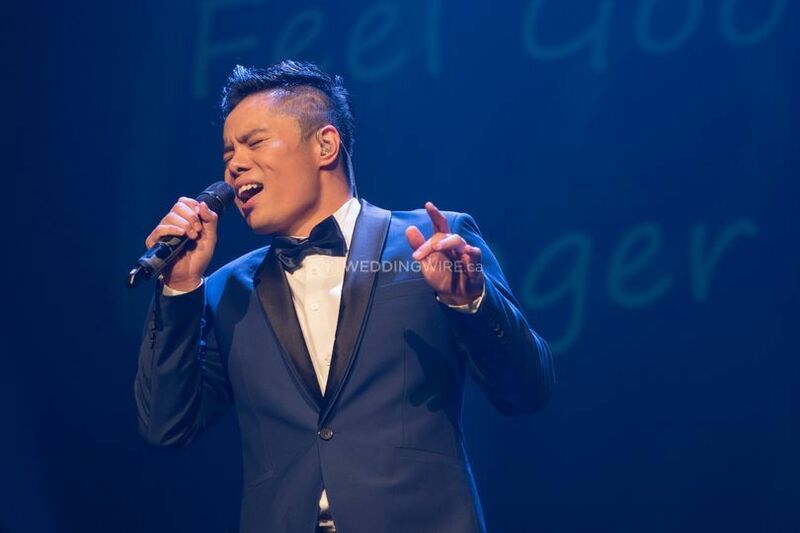 Roger is a versatile and energetic MC who will make your guests feel comfortable and ready to have an unforgettable night! If you are looking for a celebration where the perfect songs will be played at the best moments, then Roger's professional DJs are the ones to turn to! 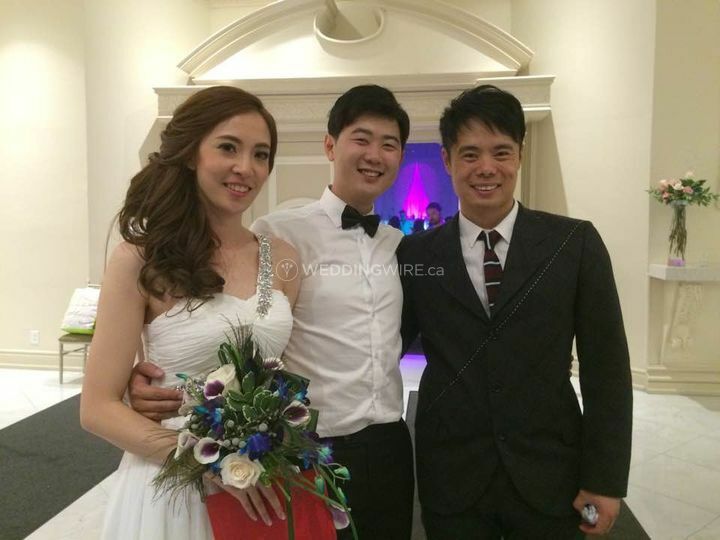 The services they offer include DJ, MC, bilingual MC, consultations, do-not-play lists and karaoke services. 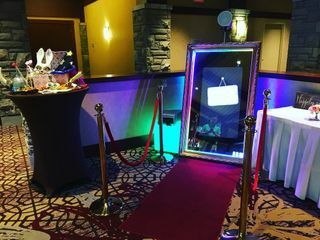 Among the other services Roger offers, you can find the newest photobooth on the market utilizing the latest technology in interactive picture taking. 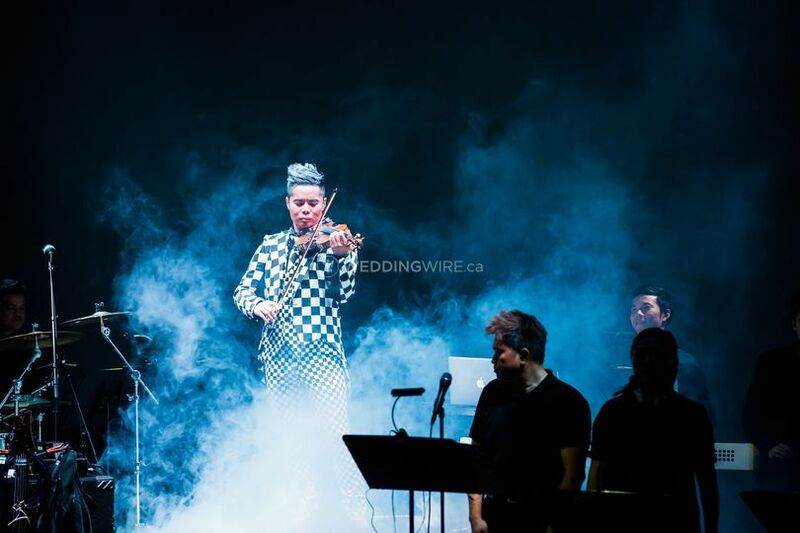 They also provide live music performances which will complement any event beautifully. Roger was an excellent DJ at our recent wedding this past weekend! He is so experienced that everything from the start was flawless. 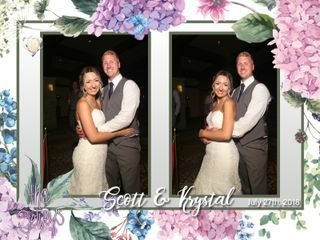 He is very responsive, and I felt that as a busy bride this was very necessary, being able to receive quick replies and feedback. He offered us to go see him perform at a prior wedding/event just to see how it will go, even though we didn’t have to it was a great gesture. 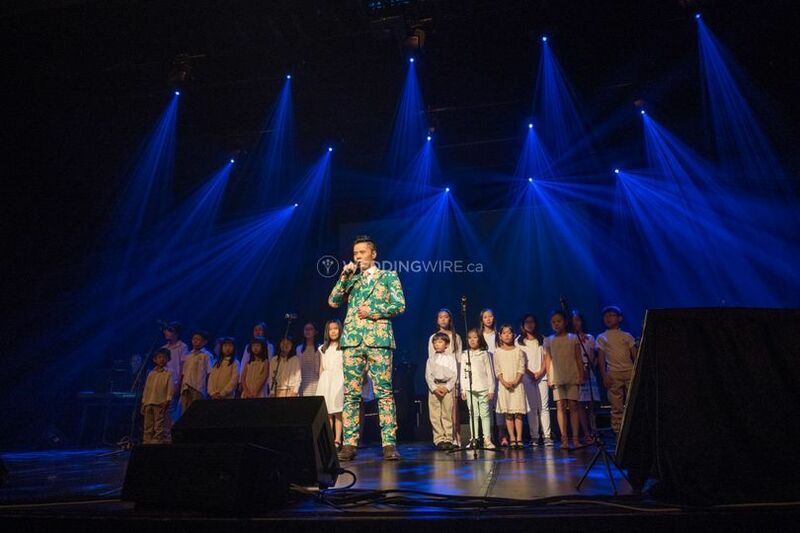 He also sang a song on our behalf and it was very well sang and very touching. Me and my husband loved his company and expertise, and the choice of songs for the night was perfect. Thank you very much for all your hard work and expertise!!! 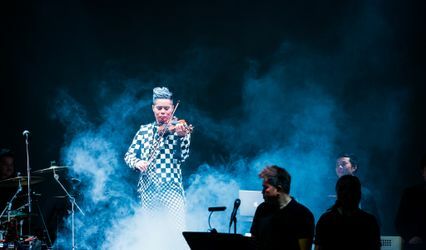 Roger is not only an amazing MC, but a very talented violinist. Roger played "Jesus, Joy of Man's Desiring" and "Canon in D" for our ceremony. 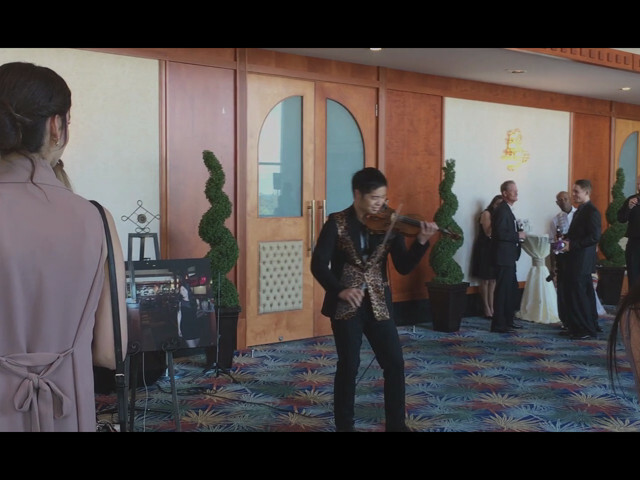 His performance made the ceremony so romantic and touching. Roger is very responsible so we just let him choose the games and let him control the timing. Turns out he did a really great job! Everyone enjoyed it! I am so glad that we chose Roger's team to be our MC. 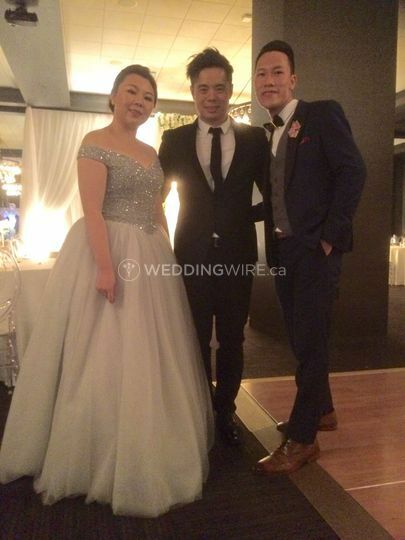 Roger Feng -highlight of the wedding! Roger blew us away! Best investment we made! I was reluctant at first about hiring an MC host/translator. I thought it was a cost we could avoid to stay within our budget, but my husband insisted on getting one rather than putting the pressure on a family member to host & translate. My Husband was right, Roger was our best wedding investment. He made our wedding so much fun and engaging - a true entertainer. 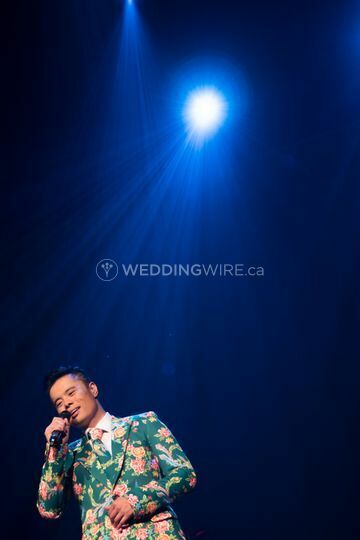 He is multi-talented and provided us with his violin services for our Ceremony, First Dance, Father/Daughter & Mother/Son dance, and was our MC host for the night toggling between English and Cantonese. He was high energy and enthusiastic which made our family and friends very engaged – no one was bored through the speeches. 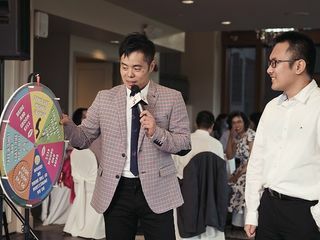 Roger engaged the audience with fun games, and translated all of our speeches - making everyone laugh with his translations/mannerisms in Cantonese. He can also translate in Mandarin. Our guests could not stop talking about Roger after the wedding. We highly recommend his services, he was the highlight of the party! If I could give Roger and his team more than 5 stars I would. My friends were blown away by Roger's performances and our wedding crowd was constantly engaged throughout the entire wedding dinner. My husband, who was skeptical about me hiring an MC went from "Why do we need an MC? it's unnecessary" to "He is amazing, you absolutely nailed this wedding". One of my friends instantly fell in love with Roger and watching Roger play violin renewed his passion to learn the violin again. Communication with Roger was so easy, he was easily accessible by email and was readily available for phone calls. On the day of the wedding dinner reception he also did wedding coordinator duties by communicating with my venue during setup. Roger constantly kept me in the loop when there were any changes or needed my approval. I am still receiving compliments on the wedding reception and how fun it was. Roger really worked miracles at our wedding and left an amazing impression on everyone. 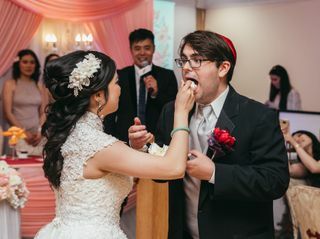 Roger was our mc for our wedding on nov 12 and he was absolutely amazing! You can tell from speaking to him that he has a lot of experience with being a mc. He gave us many advice and it was super helpful! He is great at keeping the crowd in control and engaged throughout the night. He also sang a song for us and his voice is amazing! We received so many compliments from our guests. Also, Roger is super nice and easy to work with! He definitely contributed to how smoothly and perfect our wedding went. We can't thank him enough! 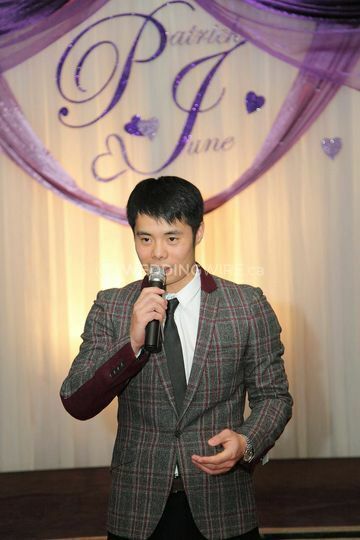 And we highly recommend him to anyone who needs a mc for any occasion! Thank you Roger!! Thank you Lucy for the kind words. 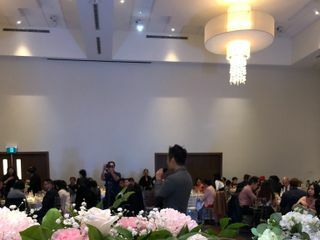 I had a wonderful time to MC your wedding! 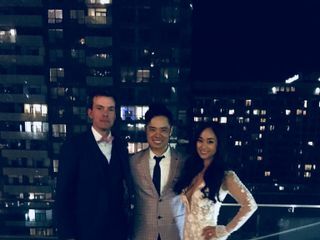 It is my number one priority to take away all your worry for the wedding reception, and to make you and Patrick enjoy the evening as much as possible. Thank you again!